How much do you know about matcha? 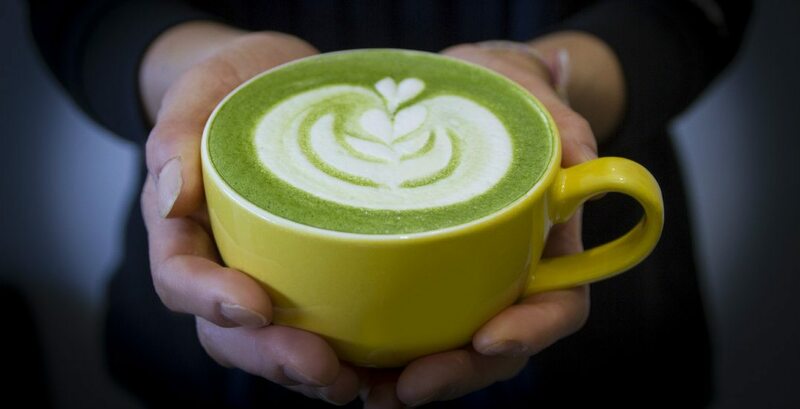 The superfood is gaining popularity in the health-food world in recent years, with many dedicated coffee drinkers ditching their beloved morning coffees in favour of matcha. Drinking matcha has been a long-standing tradition in South Korea and Japan (for over 900 years! ), and is cultivated from high quality leaves known as tencha. The leaves are sheltered from the sun and turn a vibrant shade of green due to the increased production of chlorophyll. After harvesting and steaming, the leaves are finely stone-ground to the powder form you will most commonly find them in. Matcha is very high in caffeine, however, provides a powerful caffeine boost without the associated jitters or caffeine crash that other caffeinated beverages provide. That sounds like a win-win to us. Due to the health properties of matcha, it provides a very different calm energy than regular coffee will give you. Did you know that just one cup of matcha provides ten times as many antioxidants as steeped green tea? This is because the whole tea leaves are ingested when drinking matcha, so it’s a more potent source of nutrients than steeped tea. Studies show that matcha may assist with weight loss by boosting the body’s metabolism, due to its high concentration of catechins (an antioxidant). It has thermogenic properties and promotes fat loss, so you can reach all of your New Year’s resolutions this year. Along with providing small amounts of vitamins and minerals, due to its antioxidant-rich properties, matcha has been tied to protection against heart disease and cancer, as well as better blood sugar regulation, blood pressure reduction, and even anti-aging properties. Matcha contains a unique amino acid called L-theanine, which assists in boosting alpha waves in the brain, promoting mental relaxation and inducing a feeling of mental clarity. The resulting effect is a more alert state of mind — how about that? Add matcha to your daily routine this new year at Blenz locations across Vancouver now, particularly on Matcha Mondays, where all medium-sized Matcha Lattes will be $4, and Double Matcha Shots will be $2.